Ms. Earnshaw, a Canadian photographer and student at the International Center for Photography in New York, brims with an earnest belief in photography’s redemptive nature and a desire to pursue long-term projects around health care and family. One of her teachers there connected her with the Motefiore Children’s Hospital, where she was invited to photograph a yoga class. This led to an invitation to shoot the children’s prom in May, an opportunity that Ms. Earnshaw could not refuse. 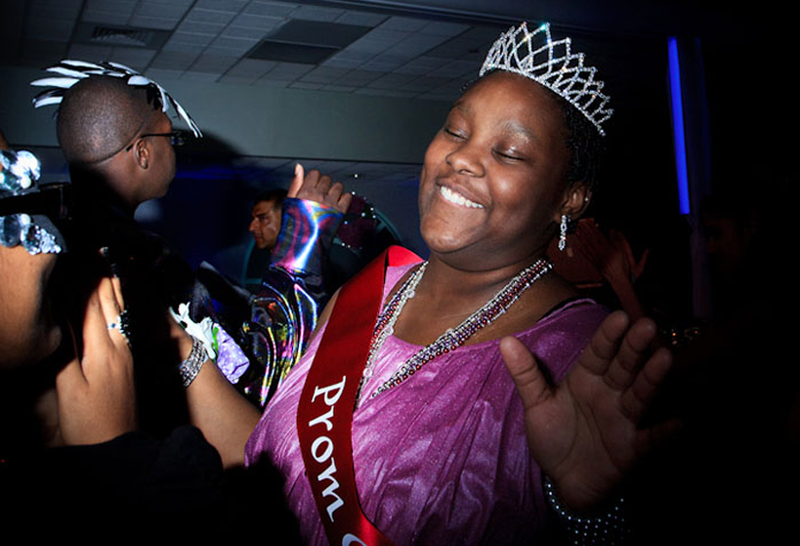 Many of the youth — some of them terminally ill with cancer — miss important teenage milestones, including their high school proms. Subjects in Ms. Earnshaw’s photographs have had liver transplants, heart transplants, brain tumors. Many have sickle cell anemia. Working close with a digital camera and a flash, the photographer was able to capture happy, often spontaneous, moments. A grid over the flash, which focuses the light and leaves the frame edges dark, gives some photos an intimate and slightly surreal mood, somewhat reminiscent of photos from Truman Capote’s legendary 1966 masked ball.